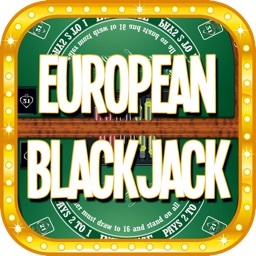 Get a casino quality Blackjack experience right on your iPhone, iPad, or iPod Touch! 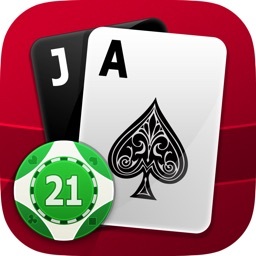 Download Blackjack 21+ and double down for intense gambling action with up to three hands at once. Play and feel like a real high roller without ever dropping a penny starting right now! Get ready for the gambling thrills of Las Vegas on-the-go, right at your fingertips, and all for FREE! 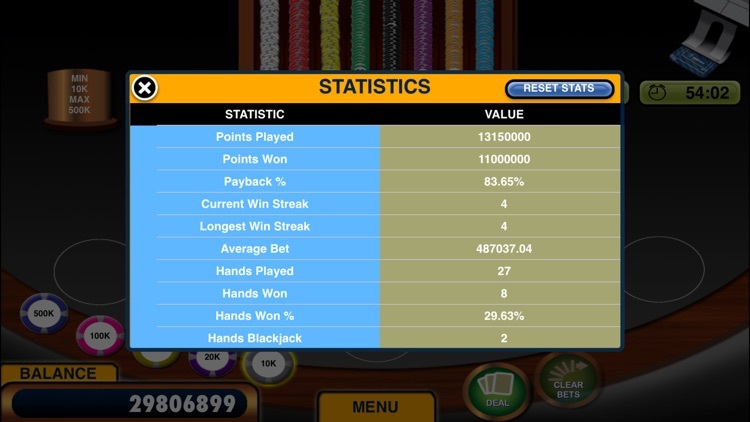 Blackjack 21 + is the gold standard among Blackjack games available on iOS. 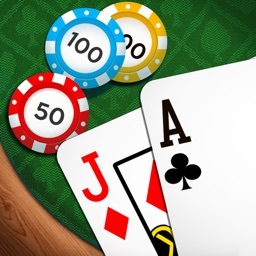 A flawless virtual Blackjack experience on either your iPhone, iPad, or iPod Touch, this game lets players play up to three Blackjack hands simultaneously on one table! Everything from the game’s beautiful, intricately detailed graphics, to authentic casino sounds, and genuinely exciting gameplay feels like the real thing! Best of all with Blackjack 21 + the fun is always free! If you lose all your chips just hit reset and start playing again! Everything from the rules, to the betting structure and excitement is true-to-life in Blackjack 21 +. 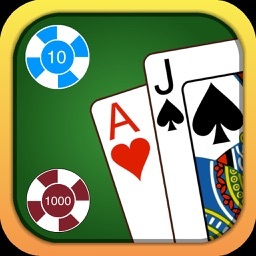 Players start with a base stack of cash and play up the limits until they either go bust or sit down to gamble for millions on every hand in this classic casino card game! 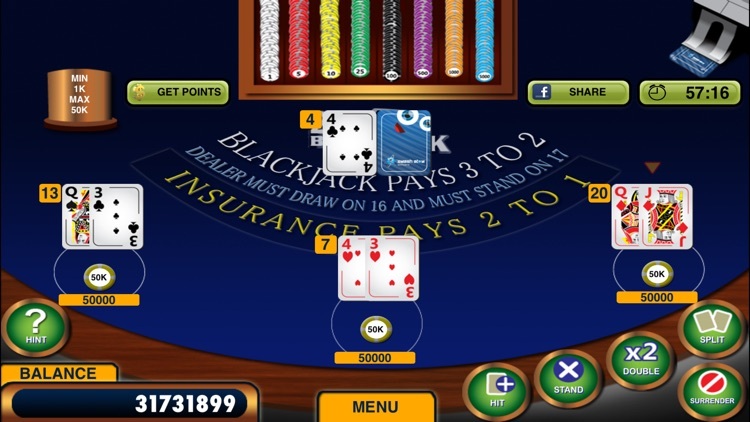 All normal Blackjack actions such as doubling down, splitting pairs, taking insurance, and more are all included too. To boot, the game allows players to save their gameplay statistics to easily reference how they do against the house in the long run and to help them hone their strategy as they play! 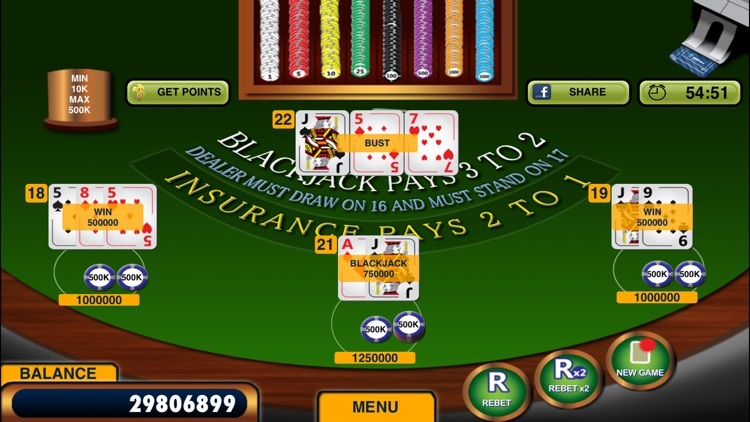 To ensure that the game stays accessible to any level of player, Blackjack 21 + includes a handy Hint feature to offer users gameplay tips or help them make the right decision in tough spots. 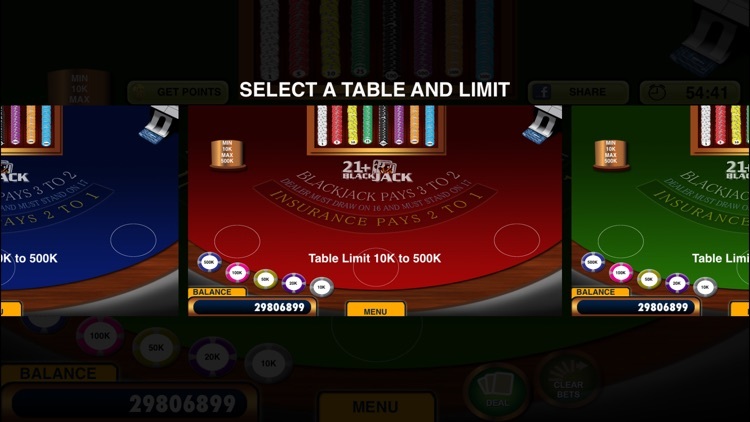 Flexible in-game features also allow gamers to change between different table stakes limits and switch their tables’ felt colors with the click of a button too. More competitive players can unlock achievements, share scores via Facebook and Twitter, and compete online via interactive Game Center leaderboards for ultimate bragging rights too! 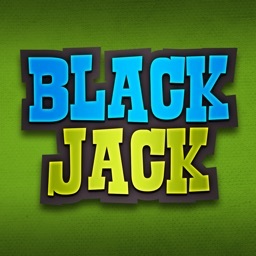 Press your bets for a good time and go all in with Blackjack 21 + on iOS today! 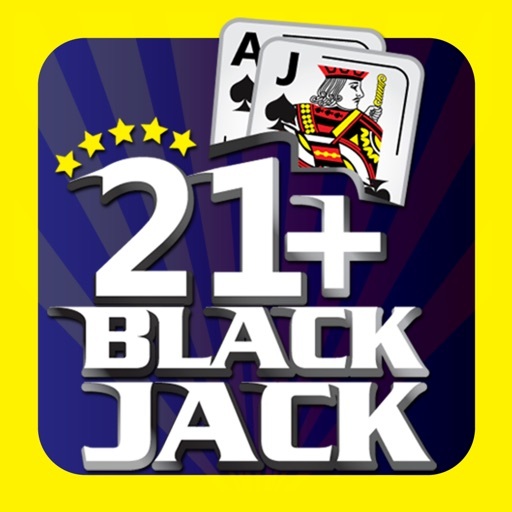 Blackjack 21 + is developed by Smash Atom Games. Remember, Blackjack 21 + is for entertainment purposes ONLY. 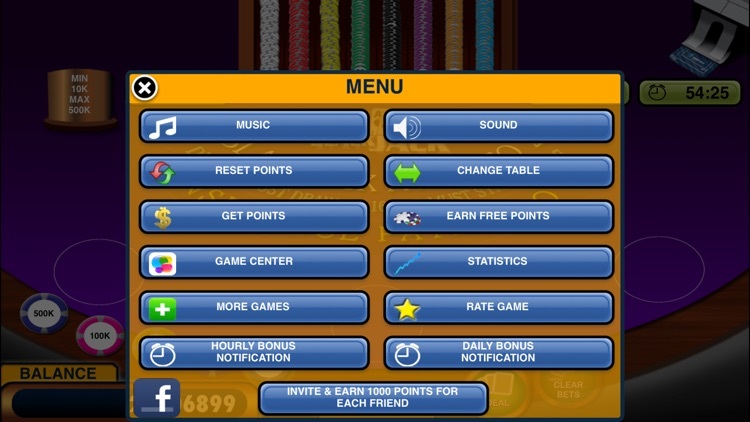 It does not offer real money gambling!